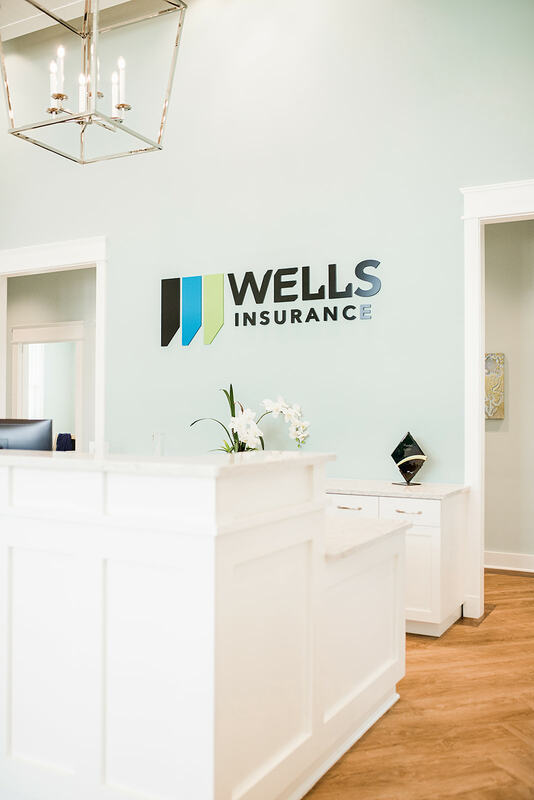 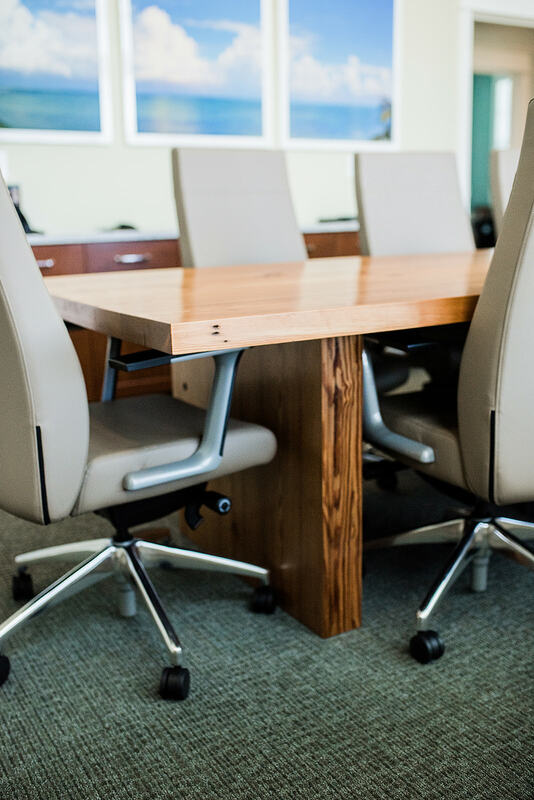 The new building needed to reinforce the three-generation long business of Wells Insurance and their brand of consistency and high performance. 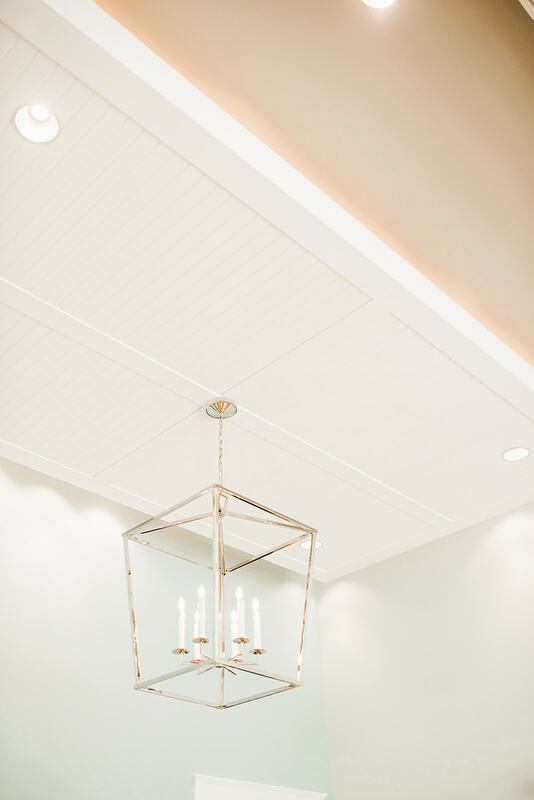 The space needed its own fresh feel to express the understated elegance of Wrightsville Beach and the surrounding area. 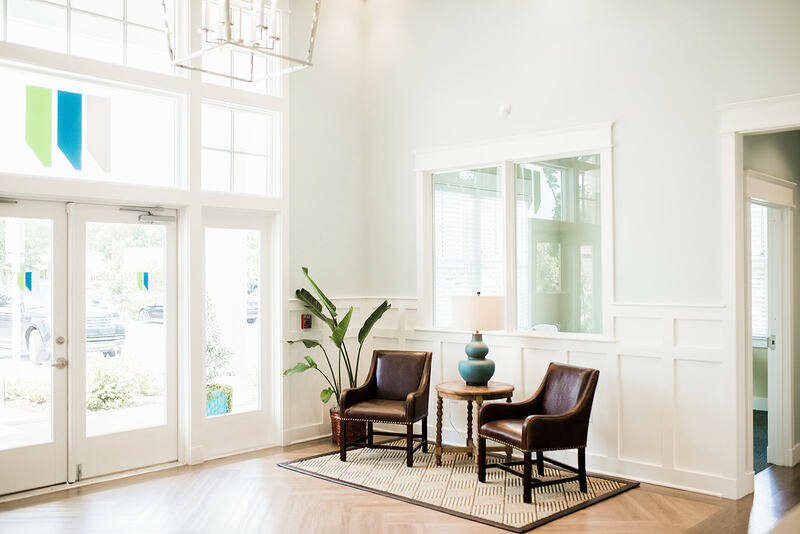 The richness of the lobby space is found within woodwork details of trim and coffered ceiling, large contemporary lantern style fixtures, and seagrass rugs placing leather reception furniture. 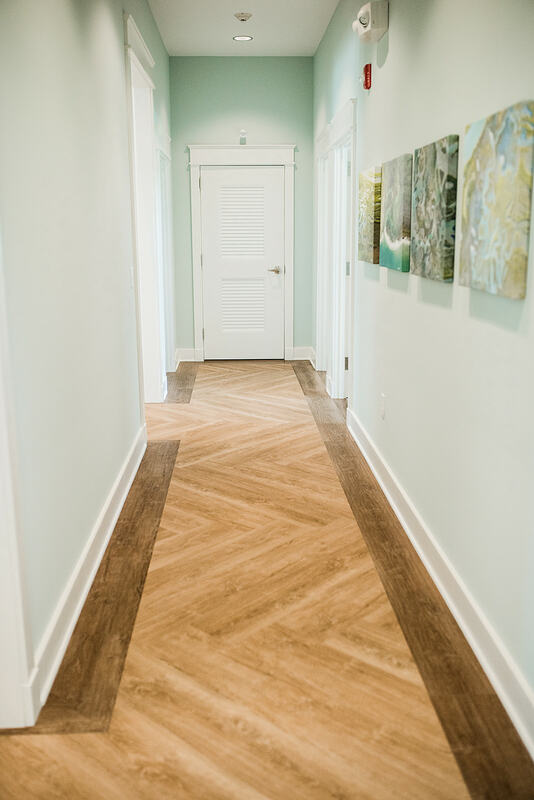 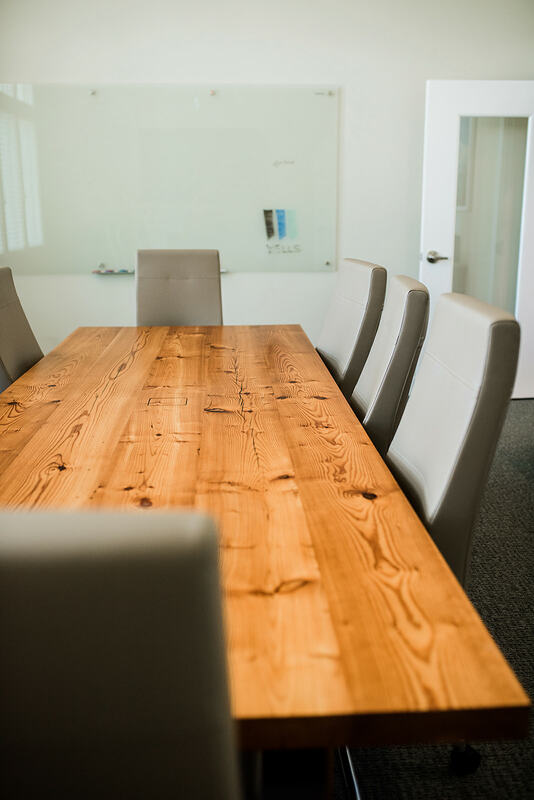 Wide plank faux wood flooring in a herringbone pattern adds richness and durability to the space by its visual texture and thick rubber backing that absorbs sound. 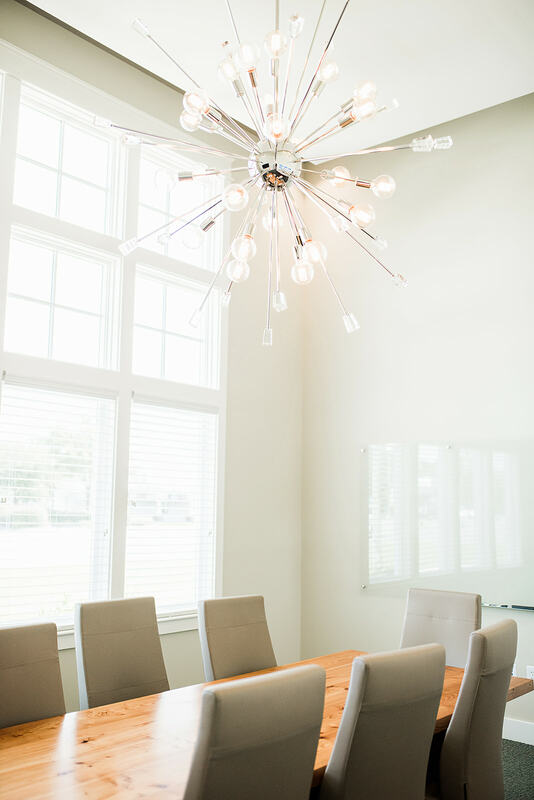 From the lobby you see into the consultation rooms, which are more intimate spaces to confer with clients. 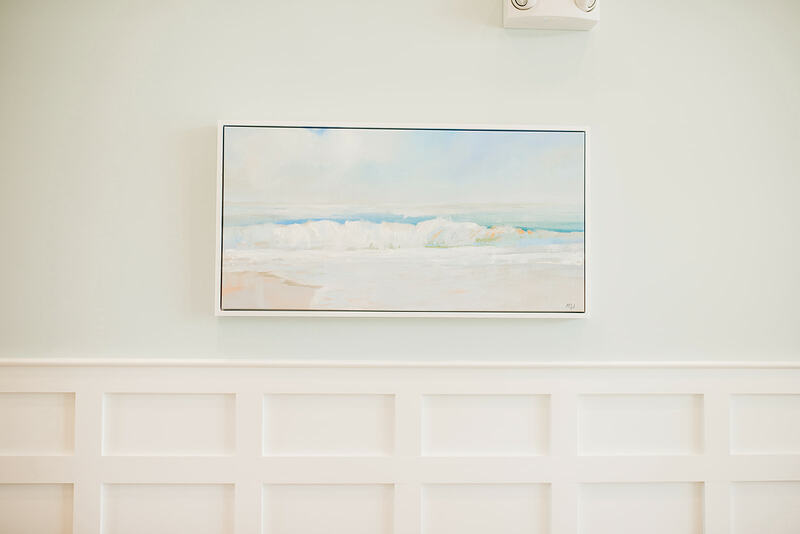 These spaces highlight local landscape through artwork and coastal inspired furnishings.